Ryumon Dragonfly Katana Sword with Black Lacquered Scabbard | BUDK.com - Knives & Swords At The Lowest Prices! 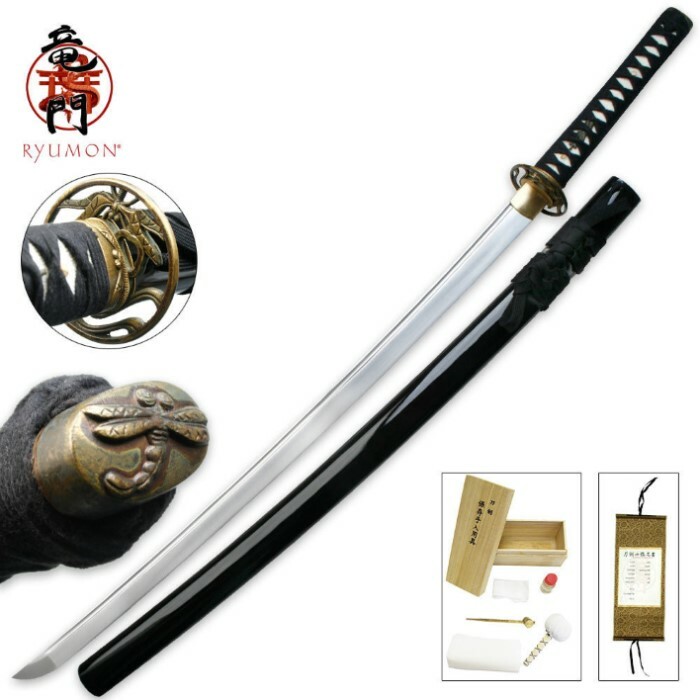 Own a sword with a custom-designed look for a fraction of the price with this Ryumon Samurai Katana sword. The blade is hand forged of 1065 carbon steel with a drop point and heavy blood groove for authenticity. The blade was designed using the traditional Japanese clay temper technique so that it is as attractive as it is fierce. The ornately designed tsuba features a dragonfly and the matching pommel all contributes to an old-world look and feel and just the right amount of elegance. The genuine ray skin handle is carefully wrapped in nylon cord for a superb, samurai-worthy grip. A high gloss lacquered scabbard is included to house the powerful blade. 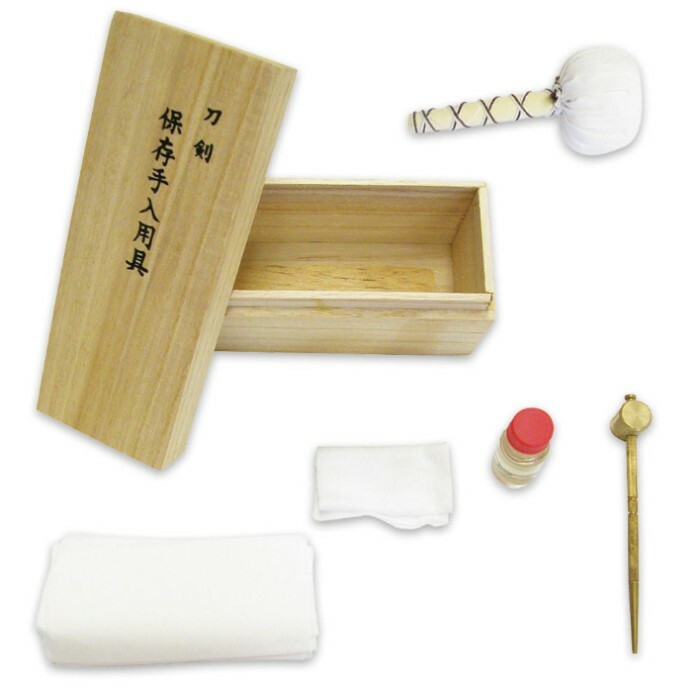 Includes a certificate of authenticity, sword bag, collector's hangtag, reference guide and a cleaning kit.